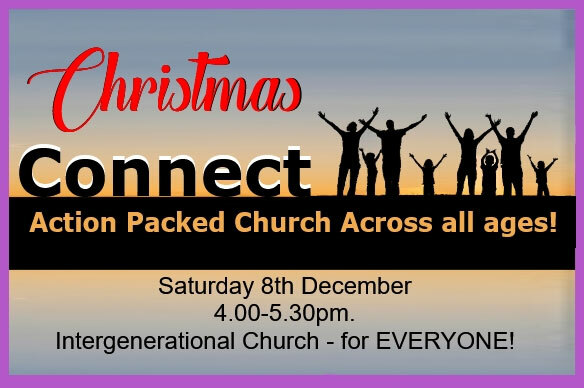 Please join us for our Christmas Connect. Action packed Church across all age groups. Everyone is invited… Come along and worship and praise our Lord. Children from 0 – 120 welcome! !